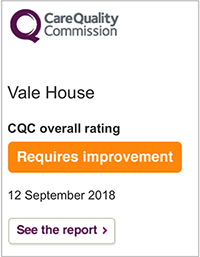 The Trustees and Management at Vale House are saddened by the outcome of the recent CQC inspection, particularly by contrast with the “Outstanding” rating we received two years ago. Our aim is always to care for our residents with the highest standards of empathy and compassion, and we are pleased that the CQC inspectors rated the “Caring” at Vale House as “Good”. However, we have allowed ourselves to lapse over some regulatory requirements, and do recognise the concerns of the inspectors about specific aspects of our work, particularly in relation to detailed record keeping. We have already begun work to ensure that the necessary improvements are undertaken in the way we organise our service, keep records, and educate our staff. We aim to ensure our return to a top rating in all areas of Inspection. We are putting in place the measures which the CQC has required us to take and will report back to them accordingly. “This is very disappointing for you all. 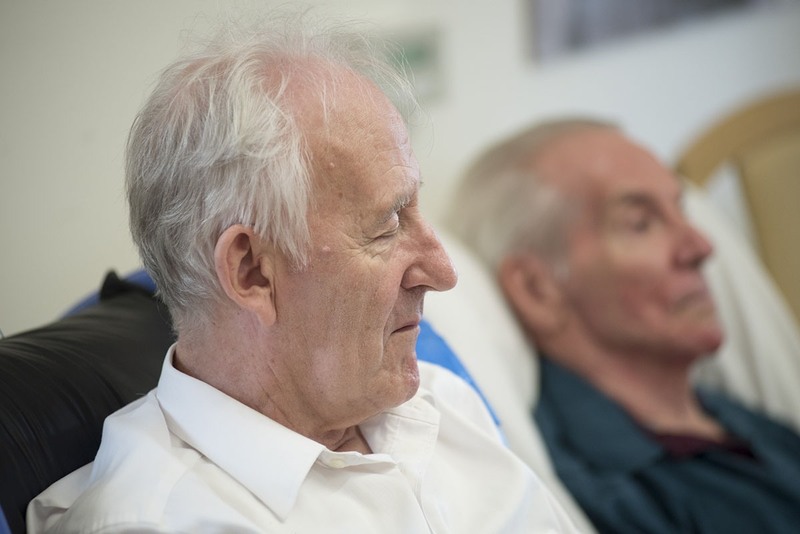 However, I want to reiterate that I am completely happy with the care and attention my husband receives and really appreciate the affection he is shown by your nurses and carers and the time they give to talk to me when I visit. I do look on them now as an extended family”. “I just wanted to say as a relative that I have not lost one jot of confidence in Vale House, nor in its management and its staff levels. It is still the best dementia care home in the area”. This was from another Home Manager “Just to let you know that in our eyes you and your Home are still a beacon of excellent practise”. “The design of the building, the peaceful courtyard gardens, the professional manner in which staff dealt with resident’s needs, and the general air of calm efficiency were most impressive”. 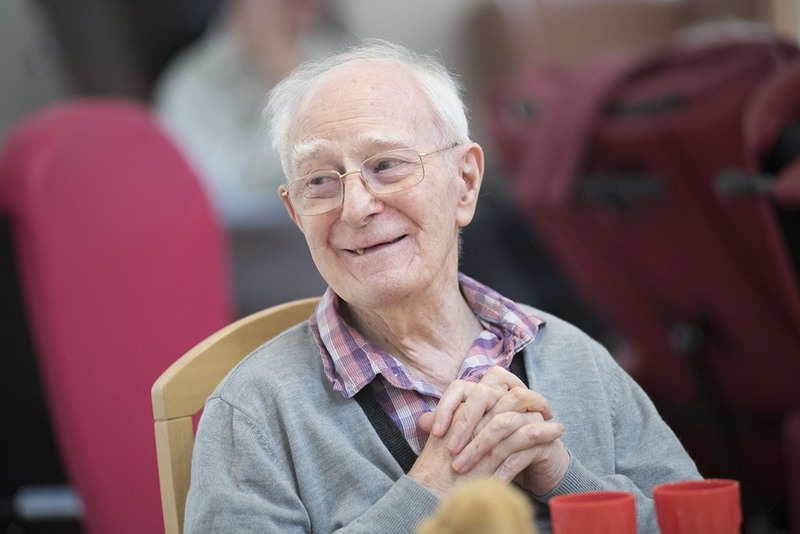 Vale House was founded in 1990 with one clear purpose: to care for people with dementia however severe or complicated, and to support their families. We know that everyone experiences dementia differently and we respect the dignity and uniqueness of each of our residents. Caring for all that is special in their individual lives and responding to their present needs are fundamental principles of our work. The quality of the work at Vale House rests on the skill and commitment of our staff. 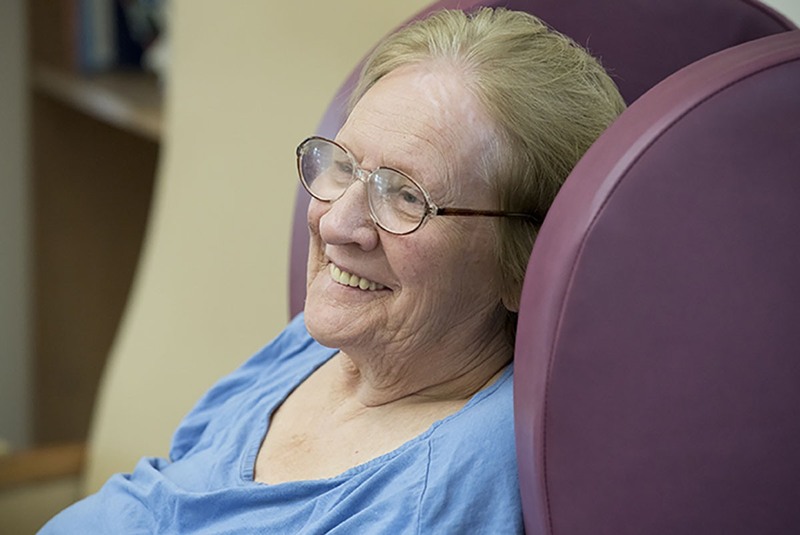 We are committed to maintaining the highest standards of care. We learn from inspections by our own directors, from scrutiny by official bodies such as the Care Quality Commission and from sharing knowledge with others who work with people living with dementia. Most of all we learn from every comment and suggestion coming from the families and visitors of our residents. All feedback is valuable, because it teaches us how to do things better.